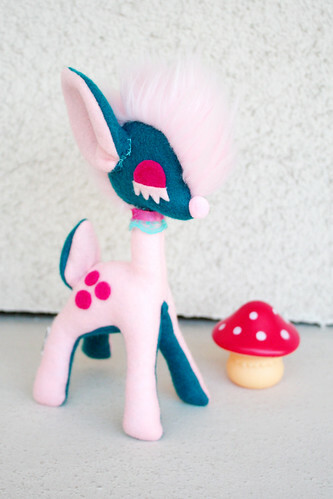 I’ve added some new items in my Etsy shop! 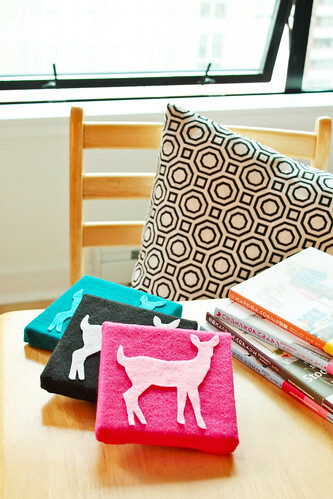 First up is 3 Felt Art Canvases featuring deer silhouettes. They measure 5 x 5 and are ready to hang. 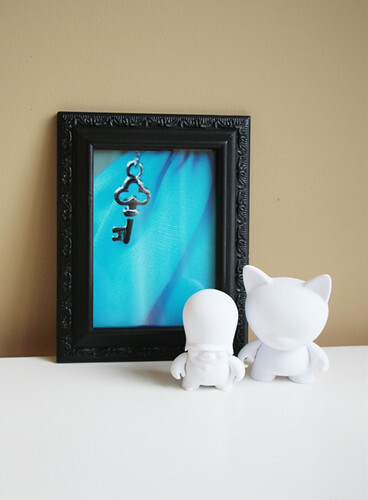 Next up is 5 different doll-themed photo prints. 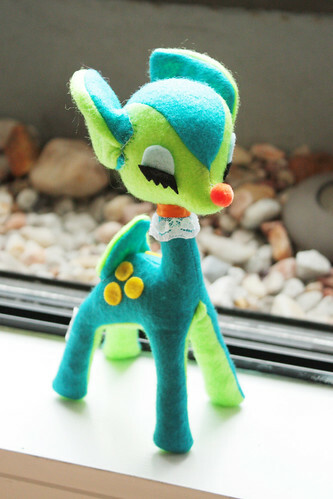 I actually had these printed up 2 years ago but they ended up in storage for a while when I was moving around. I found them in a box + thought it would be a better idea to list them. They measure 5 x 7 and are printed on high quality Kodak Professional Endura Paper with a Luster finish. They come unframed, with a signature on the back. Check out my Etsy shop for more prints. 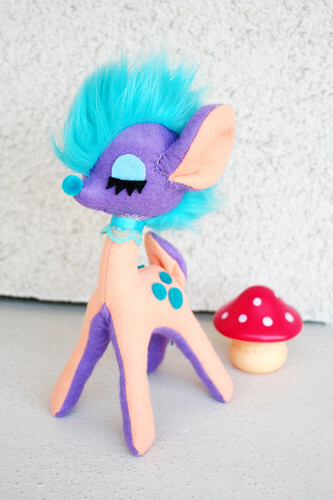 And last but not least is a new plush mohawked deer: Miss Blueberry Pie. She likes to go antique hunting at the local flea market. 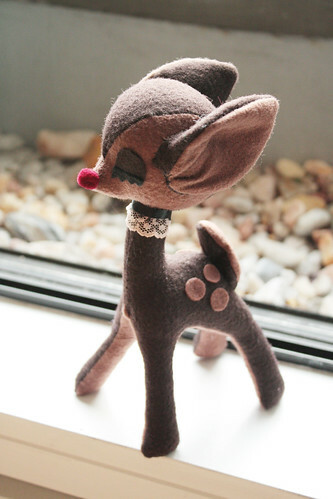 She loves buying old furniture and decorations to restore and re-paint. 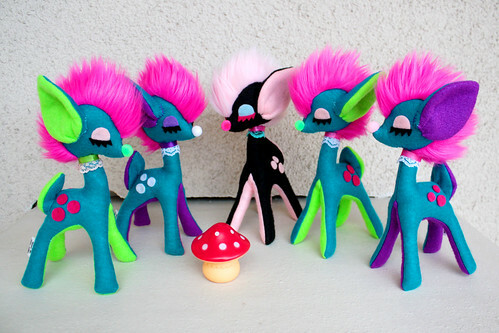 Urban Vinyl: Tuttz customs, Veni is available! 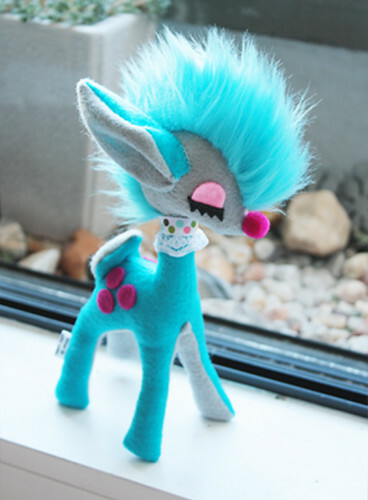 Veni is now available in my Etsy shop. Armed with a strong shield over his heart, Veni ventures out into the unknown. Unsure of what his future will bring, he carries with him an open mind, a free spirit and an open heart. Veni looks forward to each and every adventure that crosses his path, whether it is good or bad. Although he believes that each experience teaches us something about ourselves and about the world around us, he holds onto the shield over his heart tight. He’s a quote collector and his favourite is by the German writer Goethe: “Just trust yourself, then you will know how to live.“. 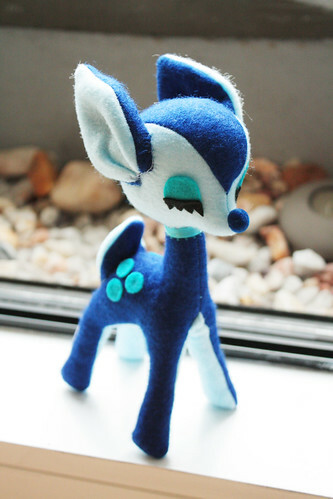 Etsy: MOAR Mohawk’d Plush Deer in the shop! 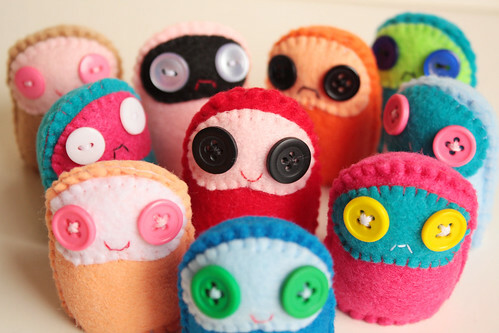 It’s an invasion! 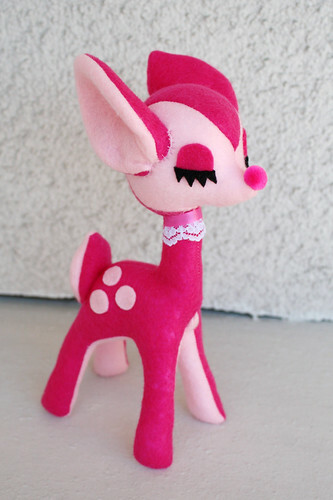 More yummy flavours of Mohawk’d Plush Deer are now available in my Etsy shop! [On the far left] Blueberry Lime Fizz currently has the #1 single on the music charts in Deerville! 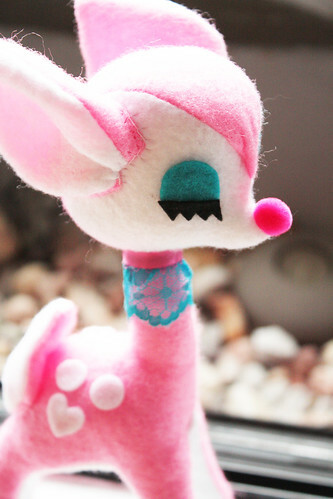 She writes & sings her own music and loves to make sparkly costumes for her live shows. 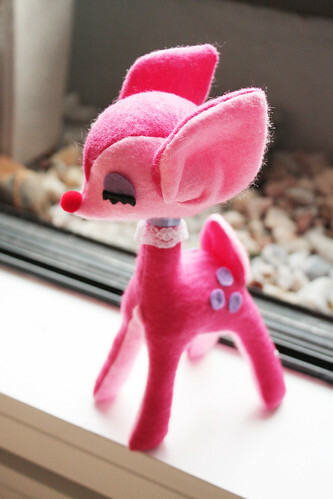 [In the middle] Strawberry Cupcake Deer works in a French Confectionery that makes the best sweets available in Deerville. When she’s not selling sugary treats, she likes to browse the local antique shops for treasures and afterward enjoys an afternoon tea at her favourite local cafe. 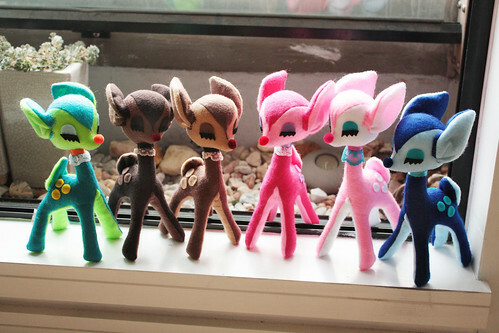 [On the left] Starlight Soda Deer runs the local observatory in Deerville. She is an astronomer and gazes out into the stars every night. 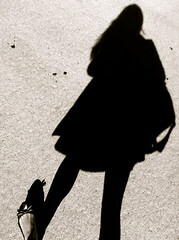 She has discovered new galaxy’s and still wishes on shooting stars. [On the right] Grape Tangerine Twist loves to go out dancing at Deerville’s hottest nightclub “The Roxy” and meet all the cute Does who are waiting for a dashing young Stag to ask them to dance. He loves to impress the ladies with all the hottest new dance moves. 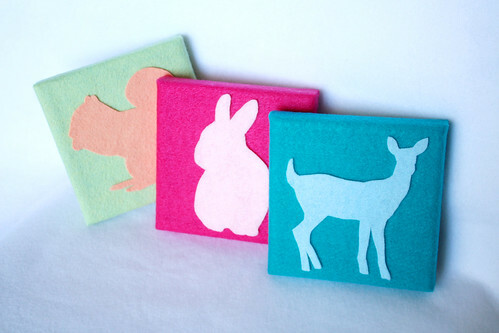 Etsy: Woodland Animals on Canvas!